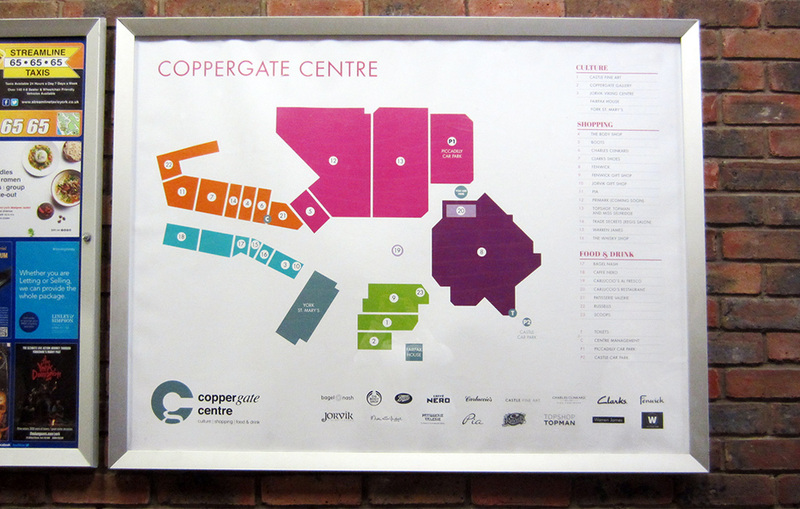 After an initial consultation with Pyper's Managing Director we started to discuss how Your Creative Sauce could help increase the exposure of one of Pyper's main clients, the Coppergate Centre in York. 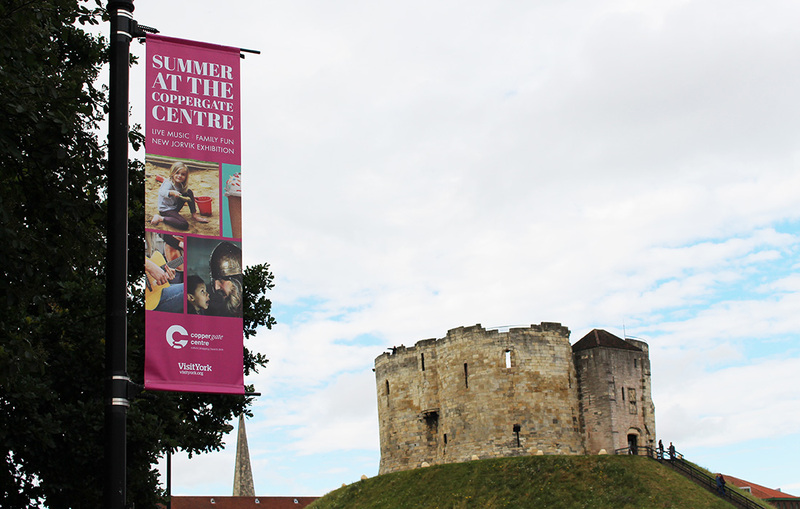 First and foremost it was identified that the Coppergate Centre required a brand refresh to both bring it more up to date and also show the diverse activities on offer at the location, including the Jorvik Viking Centre, Fenwick and Patisserie Valerie to name a few. 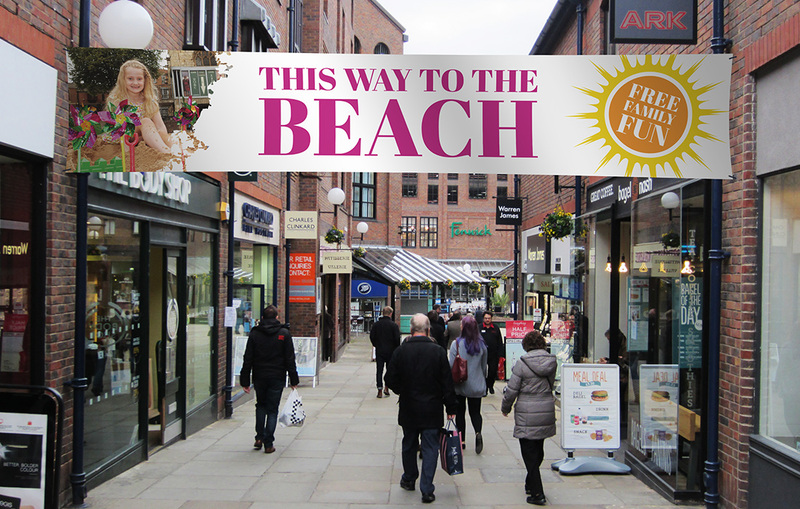 Main themes that Pyper wanted to emphasis were the cultural, shopping and dining aspects of the area as well making it easy for customers to see which retailers occupied the centre. Initially we started to draft design ideas for a new advert to be shown in various Yorkshire publications. Multiple ideas and design directions were presented to Pyper and the Coppergate Centre. After a few tweaks we settled on a vibrant pink colour scheme and contemporary photography style that would work well at both small and large format sizes. 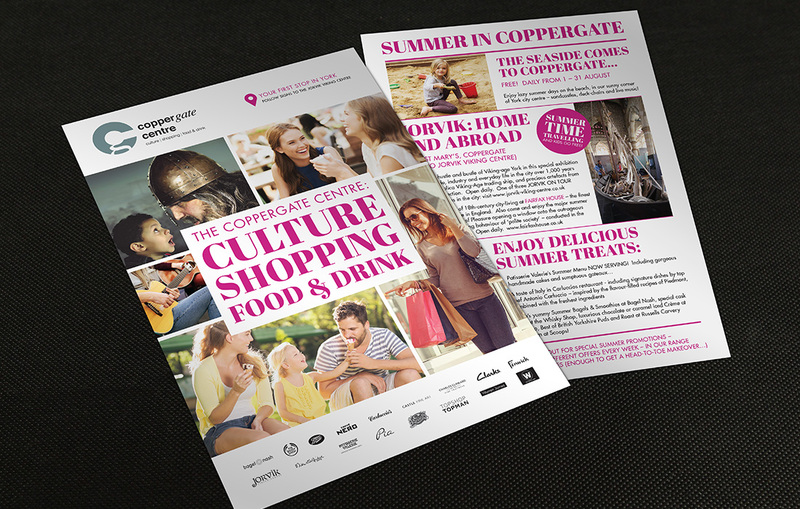 Soon after the advert was published Pyper and the Coppergate Centre asked us to draft up some poster designs to start to brand the environment in the new brand style. We quickly drafted up a poster design but also suggested it would be useful to produce a modern shopping centre map that customers could quickly reference to see what was at the centre. Here we focussed on a clean and simple design emphasising the retailers' brands and where they were geographically. 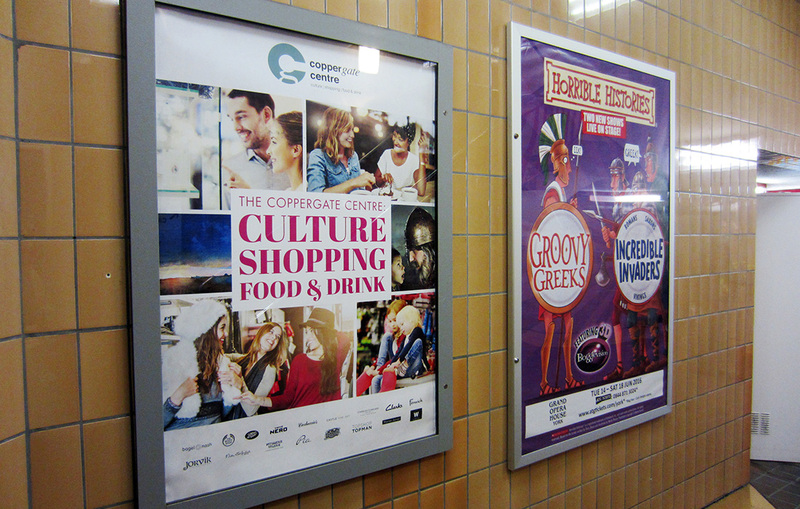 Once the designs were signed off we printed and delivered them to the Coppergate Centre ready for their summer season. Additional adverts, leaflets, postcards and posters followed. We helped out with branding and promoting of their summer event. Pyper had organised an excellent 'urban beach' to be positioned at the centre for children and families to play in. To promote this we designed and printed posters, banners and signage to help guide customers and gain maximum exposure. Pyper not only used our design expertise but also our print knowledge to choose paper/material stocks that would be affordable and durable enough to last the summer.